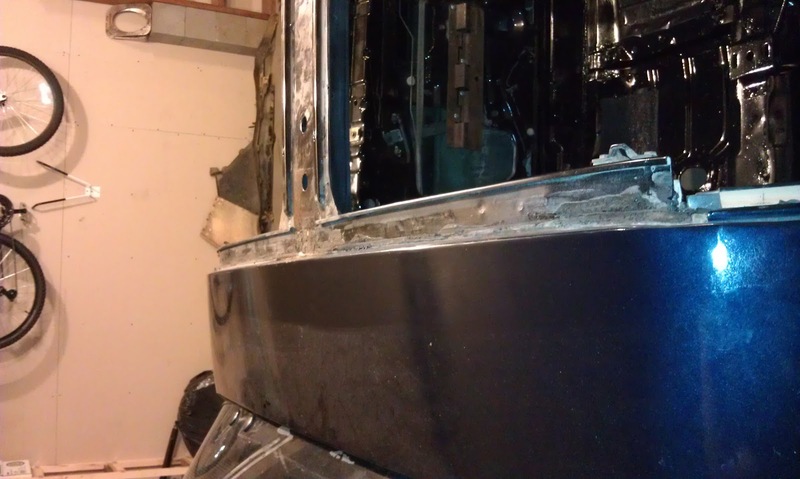 Since our POR-15 has not come yet, we decided to start stripping the t-top rails. 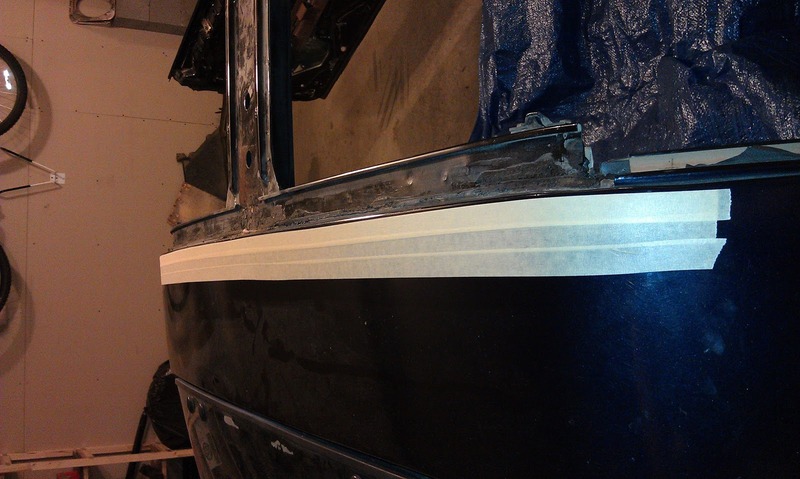 Here are the before shots of the rails. 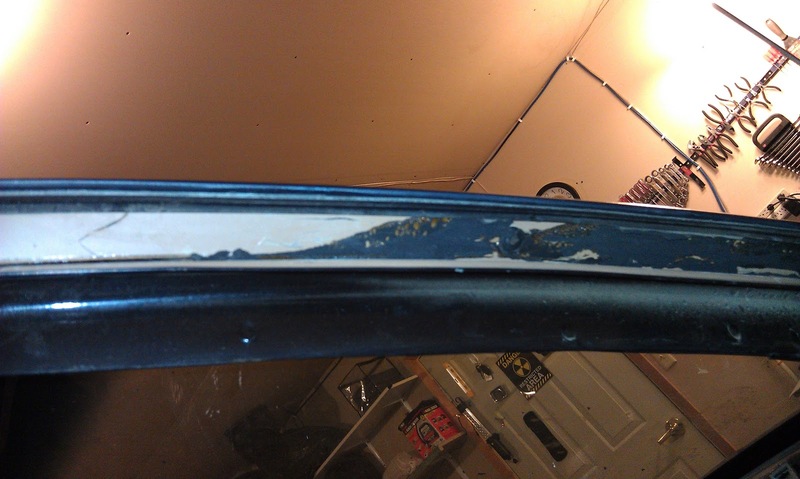 Sara removed the A and B-pillar weatherstrip retainers so we could clean out the leftover silicone. 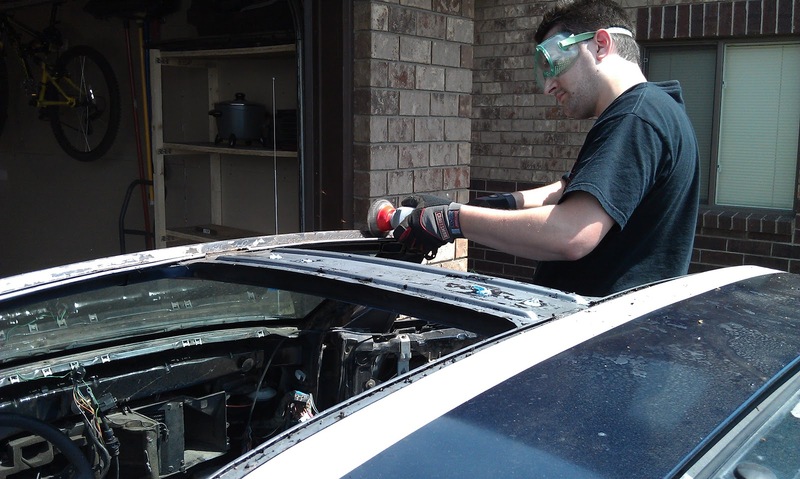 I masked off the roof of the car, just behind and just in front of the t-top rails, with masking tape. 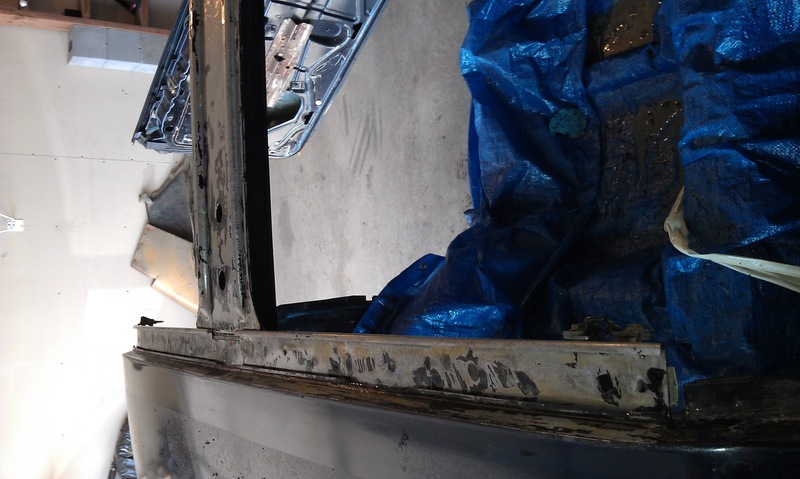 We laid a tarp inside the passenger area of the car to keep any drips off the newly painted surface. 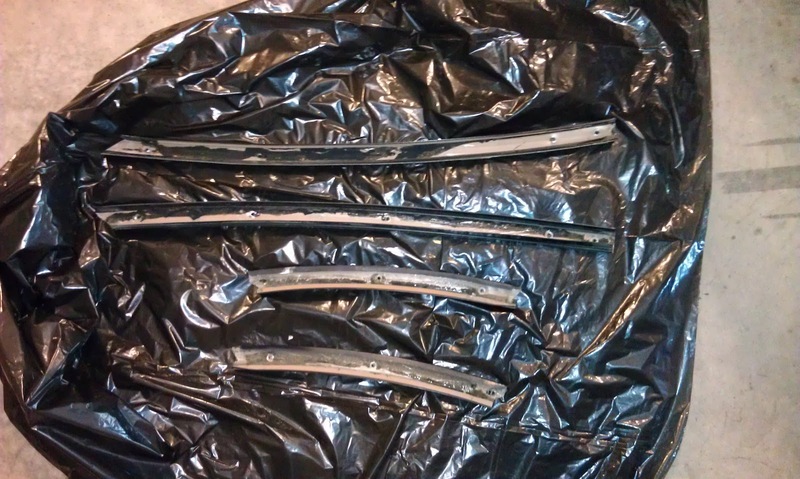 Here are the weatherstrip retaining channels Sara removed. 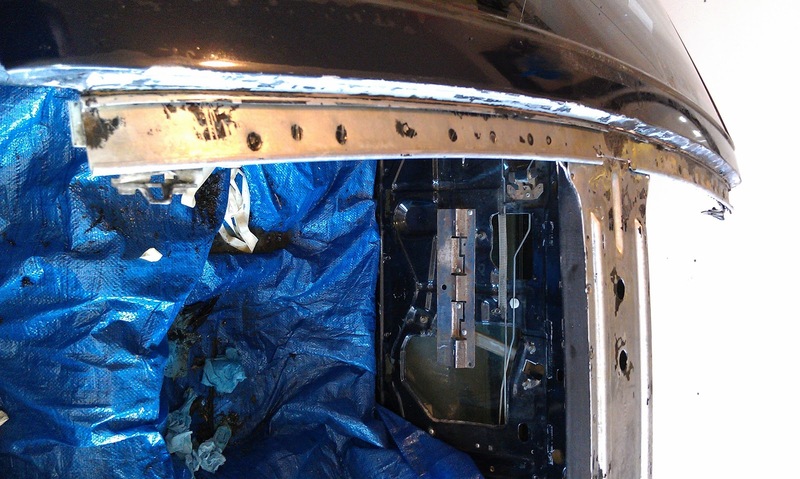 We applied POR-Strip to the retaining channels and the entire t-top assembly. We followed our same 30 minute procedure as before. 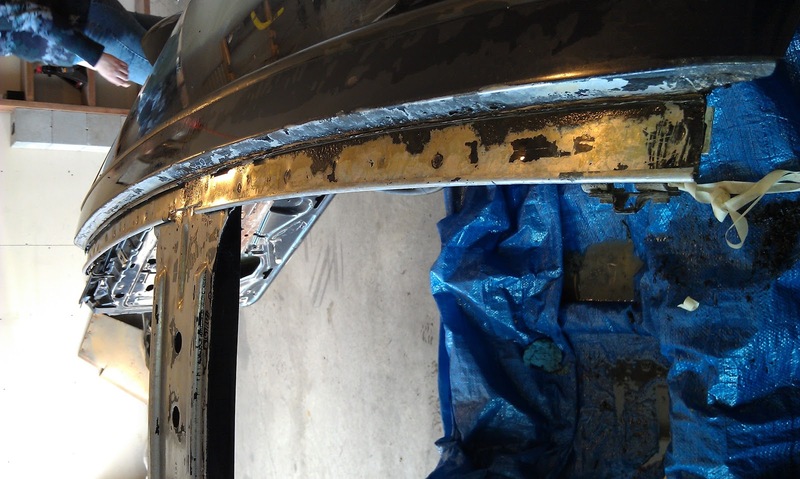 After scraping thoroughly we pushed the car out of the garage and rinsed the area thoroughly. It dried very quickly with the sun beating down on it, and we were able to examine the rusted areas better. I used a wire wheel over the very rusted areas to get down to the metal. There were some pits, which I intend to fill with POR-Patch. 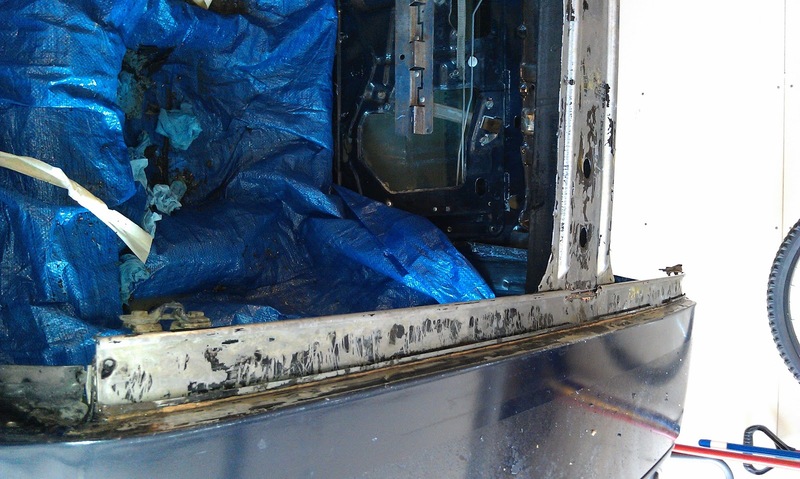 We cleaned the retainer channels, speaker mounting plates and t-top area with Marine Clean. We followed the same procedure as yesterday and scrubbed them good. 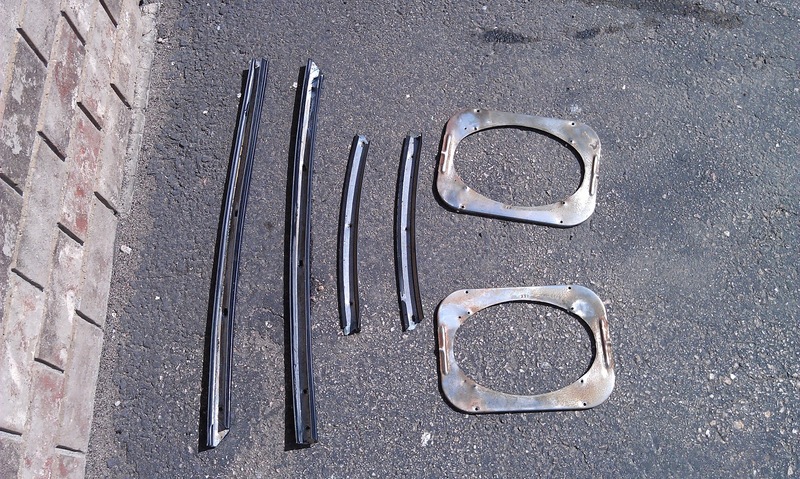 Below are pictures of the cleaned pieces. 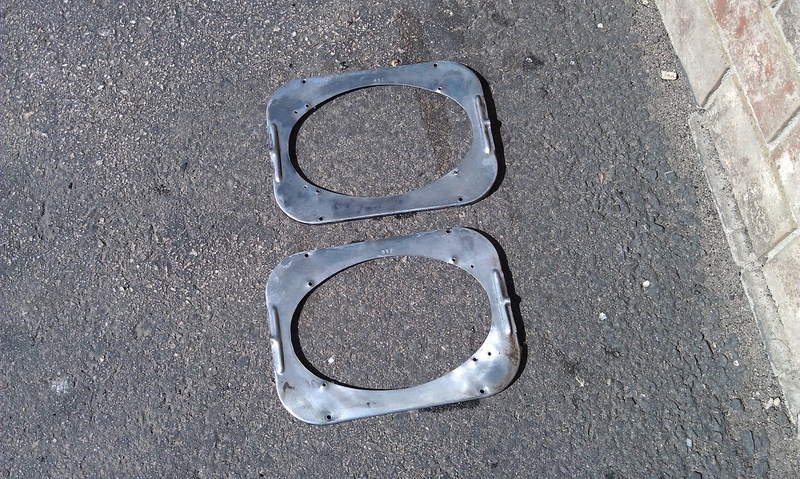 We applied Prep and Ready to the speaker mounting plates using the same procedure as yesterday. 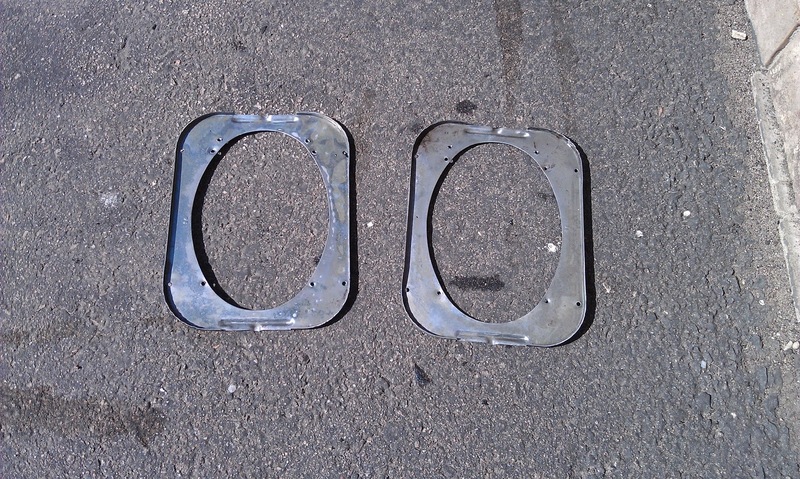 Here are pictures of the plates once they had dried. 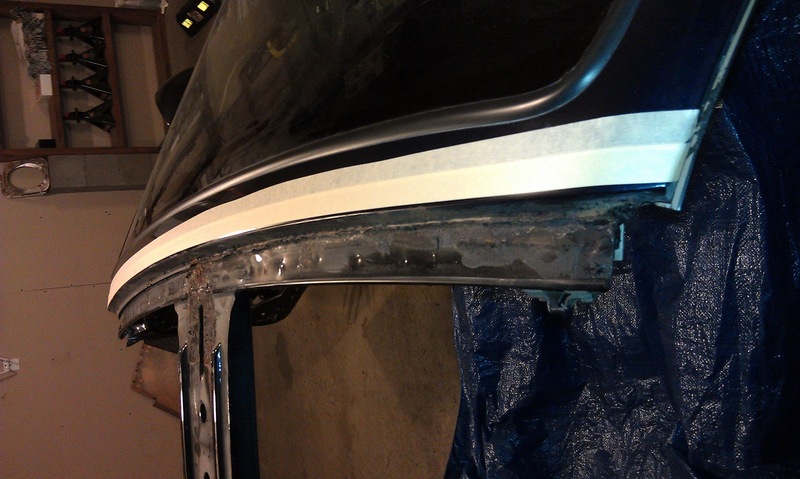 We pushed the car back into the garage and carefully applied Prep and Ready to the t-top rails. We used a combination of spray bottle and soaked rags to keep the area wet but not allow drips into the car. After thirty minutes we carefully rinsed the area by misting water and using a soaked rag to clean up the Prep and Ready. 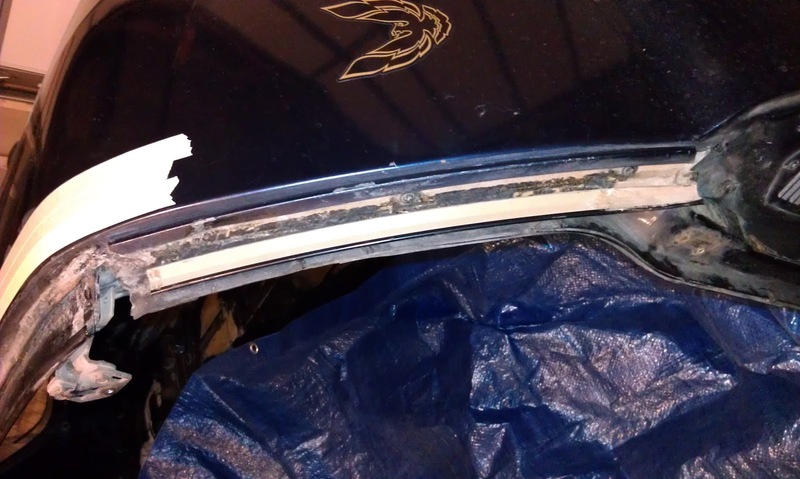 We removed the masking tape from the car and took the pictures below. 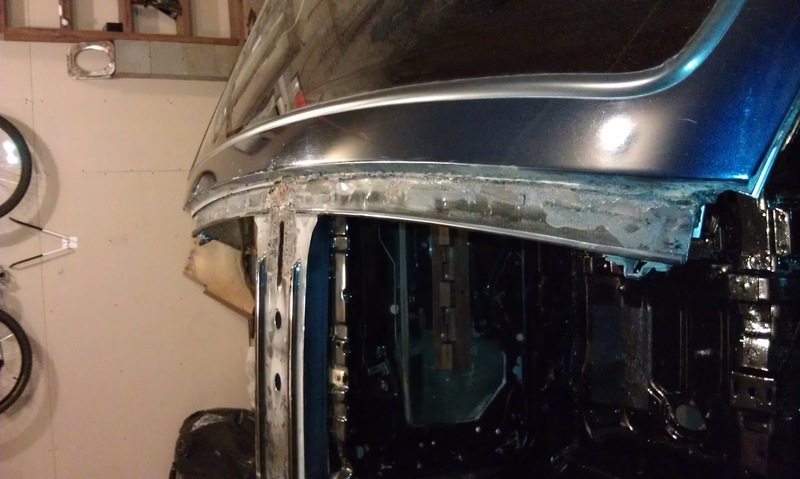 We had delusions of removing the front nose today after working on the t-top rails, but after cleaning and scrubbing for five hours in the hot sun we were too tired. Removing the silicone from the t-top rails and especially the retainer channels was very hard. The POR-Strip turned it into a gummy sticky mess and Sara worked hard to get as much cleaned out as possible. I decided not to use the Prep and Ready on the retainer channels as I intend to reinstall them before painting and just paint over them. They are aluminum so rusting should not be an issue. I may POR-15 the A and B-pillar areas where they mount just to be safe.